Professional Benchgrade Torx Wrenches Perfect for those who work on modern folders and do it professionally. 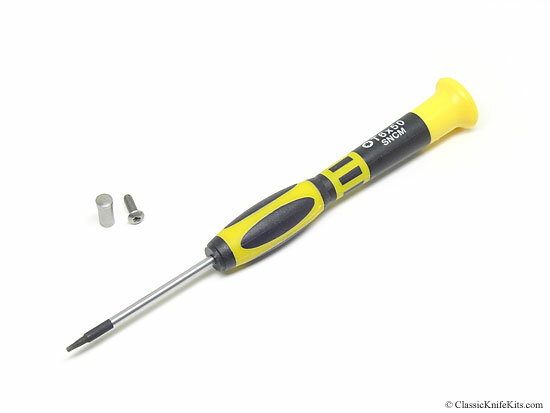 These pro Torx wrenches are the best we've ever found for the money. They are made in Germany and have a rotating rear cap holder that allows you to spin the screw while holding the wrench tight, straight and firm. They are made from hardened steel and have highly visible impact resistant handles. These are the exact Torx sizes needed for our kits, but fit most folders. If you prefer pro-level tools, these are what you want!